Are you looking for natural healthcare solutions? Do you suffer from headaches, fatigue or ﻿digestiv﻿e problems? Do you want to reduce your stress but don't know where to start? ﻿Welcome. If you are looking for gentle, holistic healthcare, this is the place for you. If you're like most people, life is filled with a jumble of work, family and social obligations that can leave us overworked, stressed-out, tired, and even injured or ill.
...know what's right for your energetic type instead of wasting time and money on every passing fad. ...naturally feel peaceful and unaffected even when the same old stressful situations arise. Acupuncture in the Denver, Highlands Area. ​If you'd like to get "unstuck" from something that's been troubling you and other treatments have not brought desired results, my work may be for you. Check out patient testimonial stories here..
1. Look over this site and get see if you feel we might be a good fit. 2. Schedule your Pre-Treatment Evaluation Appointment so we can answer all your questions, get you headed in the right direction towards results. 3. Include your date of birth in the "notes" section of the scheduler and then we will email you a link to the online Patient Portal where you can fill out all your paperwork online. Having this filled out before hand saves us the most time during your consultation so we can focus on your goals. These are resources I love and frequently recommend to patients. The more knowledge and support you have at your disposal, the more empowered you are in health and in life. The Body Wisdom Academy is a Self Mastery training for women. The Academy happens over three, weekend long trainings over three month period in the Spring. For more information and to submit an application, please call us at 303-630-9580. 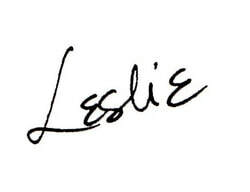 ​Click the "Stay in the Loop" button to join our communication system for updates, specials and personal messages from Leslie.